Price:: $33 or $27 if you’re a community member – refer event link inside community for discount coupon! Our KnowX session is like TedX where it’s about sharing ideas that matter, but we have a cuppa and all get to share knowledge that matters to you instead. Have you ever thought geez I’d like to know more about X topic? The topic could be about business, well-being, spirituality, metaphysics, marketing, connecting with customers, family life, conscious relationships. KnowX is the session for you! Our KnowX business + well-being topic this month is Exploring Ancestry and Lineage for Business and Life Impact. How your ancestors may be impacting your business. What it means to work with your lineage of family. Ways to support yourself with your current family. Drawing from and staying with your power from your ancestry. Clearing the trauma and embracing the gifts from your ancestry, lineage and family. 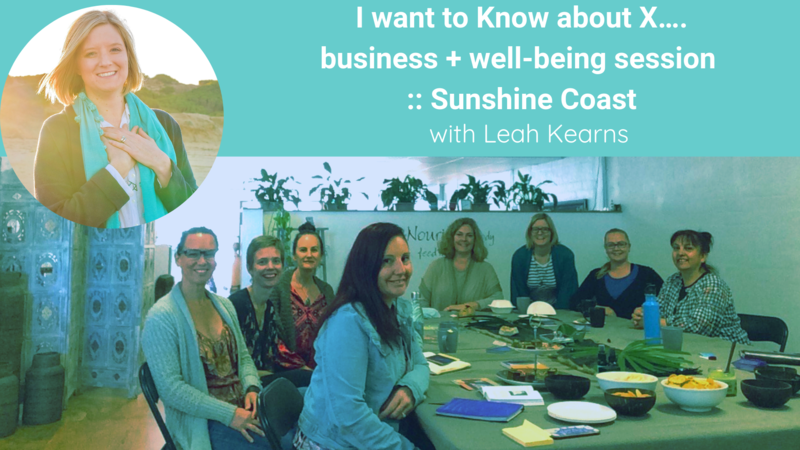 Briefly hear from our host and mentor Leah Kearns founder of WE-Being about the topic. Write or ask your questions to have them answered by our mentor and by others round the table and also pre-submitted from our online community. Opportunity if you wish to give your perspective of the topic in answer to the questions being asked. Meet others with similar questions and interests. Stay and hang out to cowork for another hour if you wish. This might be through helping others experience something, getting to know themselves or guiding them on their journey of change. They might even buy a product from you that changes their life. We want to help you know more about X topic that has your interest! A collaboration of business + well-being mentors providing embodied education and opportunities to experience information through connecting with others. Censor free, a place to be free, as me, in the “we”. We listened to our community who said they wanted a space and a place to come together and chat about what they really care about, as well as have the opportunity to #coworklive with people who live near them. Our KnowX sessions are facilitated by a mentor to ensure those attending get what they want and are hoping to know from the monthly topic. Now is your chance for you to have your business, well-being and metaphysical or spiritual questions answered when it comes to knowing more about Parenting with Purpose! This is an introductory session for $33 or $27 if you’re a member of community.WE-Being. This includes a yummy snack and drink and a contribution to our community development and amenities. Location will be confirmed via booking confirmation prior to the session. We’ll provide snacks and a cuppa. Parking is available at the location. In booking this event, you agree to photos and video being taken at the event with you present. We may use this footage or images in future marketing. Please contact our host if this is an issue for you. 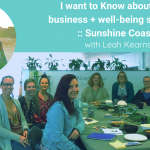 This is a conscious session with Leah Kearns founder of WE-Being. is a corporate escapee strategic business consultant specialising in startup, idea and challenge activation using conscious holistic business and life practices. WE-Being is a movement creating conscious, connected community to support well-being and wellness, one individual at a time.